Extremely detailed, this articulated Marvel Select Brown Wolverine Action Figure features Marvel's monstrous berserker in his brown X-Men costume. 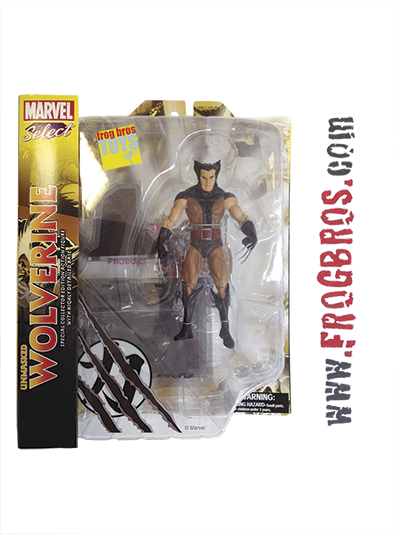 He measures 7-inches tall and comes on a deluxe Weapon X base in blister-card packaging. Let there be no doubt: He's the best there is at what he does, bub!